Magnesium helps to regulate calcium transport and absorption. By stimulating the secretion of calcitonin, it aids the influx of calcium into bone and promotes optimal bone mineralization. 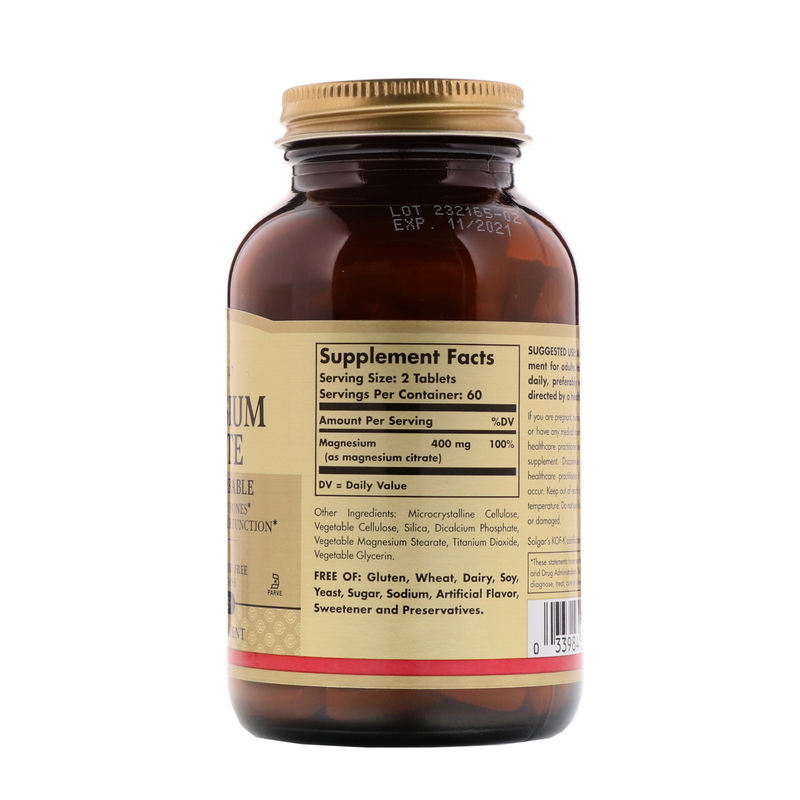 Along with ATP, magnesium supports cellular energy metabolism. It also supports nerve and muscle function. 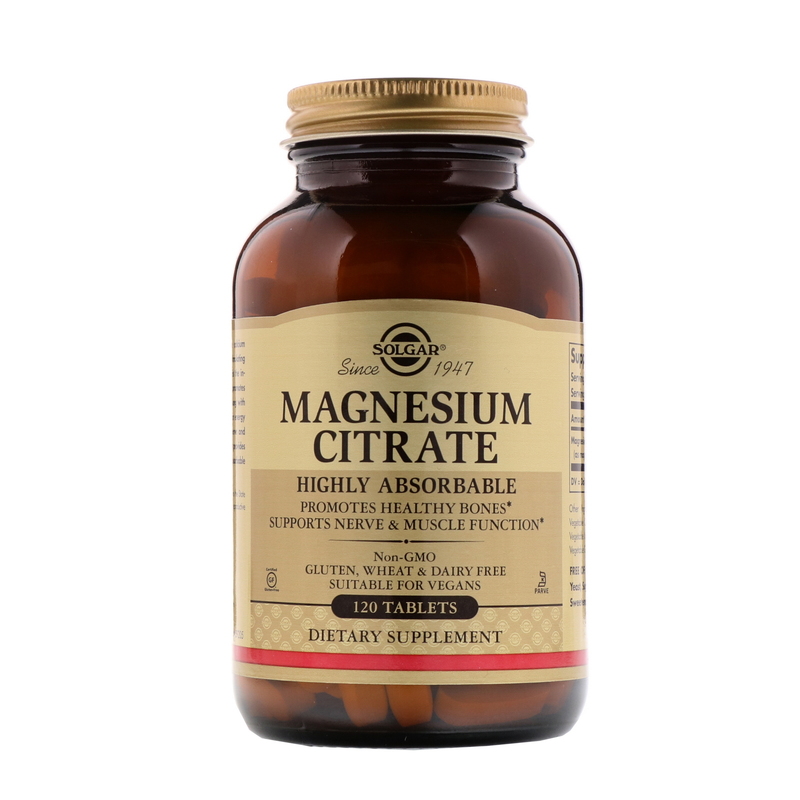 This formulation provides magnesium citrate, a highly absorbable form of this important mineral. Microcrystalline cellulose, vegetable cellulose, silica, dicalcium phosphate, vegetable magnesium stearate, titanium dioxide, vegetable glycerin. If you are pregnant, nursing, taking any medications or have any medical condition, please consult your healthcare practitioner before taking any dietary supplement. Discontinue use and consult your healthcare practitioner if any adverse reactions occur. Keep out of reach of children. Store at room temperature. Do not if outer bottle seal is missing or damaged.